In June of last year, after hearing the evidence of an independent psychologist, the Parole Board decided that after 30 years in prison, John Bowden represented no real risk or danger to the community, and like the two men originally imprisoned with him in 1982, who were released almost 20 years ago, he should now be returned to that community. The Parole Board therefore asked the Scottish Prison Service (SPS) to transfer John to an open prison in preparation for release twelve months later. At the parole hearing itself, a representative of the SPS agreed to comply with the Board’s request. In reality, however, the SPS had absolutely no intention of preparing John Bowden for release, or even allowing him out of maximum security conditions. The orchestration of the prison authorities against him has been considerable, and has included “arbitrary and illogical decisions” and “abuses of power” by those in the prison system and linked to it. John has also been the victim of lies told by a criminal justice system social worker, supposed to be “supervising” him. The same employee of Edinburgh City Council also failed to produce the necessary ‘social worker report’ containing a plan for his post-release supervision. John has also been moved around prisons constantly in order to destabilise him and make his situation more difficult. This has had the affect of making communication between John and the outside world harder, and prevented him forming friendships inside the prisons, as other prisoners are able to do. John has written “instead of keeping my head firmly down and conforming unquestioningly, no matter how wrong and unfair my treatment, I had sought to highlight it and place it in the wider political context of prison/state abuse of power”. After an attack on a fellow prisoner, John stepped in to intervene. A guard then took John to one of the very few places within the prison that aren’t covered by surveillance cameras & started pushing him repeatedly in the chest, then when John eventually pushed his hand away the guard over dramatically threw himself to the floor. Despite sustaining no injuries the guard then took a period of time off work with “stress” from the incident. It was clearly a pre-planned set up to have John charged with assault & therefore moved back out of open prison conditions and away from any chance of preparations for his release. John is therefore pleading not guilty to the charge. We are a number of prisoner solidarity groups that include Brighton ABC, Manchester ABC, London ABC, Bristol ABC, Empty Cages Collective and Black Pigeons Collective, Switzerland. We support the solidarity action in Greenock near Glasgow, and ask that you take action on the day of the trial or show solidarity in any way that you feel that you can. a) Come to Glasgow and join the court protest from 9.30am on Friday June 24th at Greenock Sheriff Court (PA15 1TR) where John is on trial. Sleeping spaces available the nights before and after. We will travel together to Greenock – bring banners or posters and a bike if you can, bikes should be available to borrow if you can’t. Lifts may also be available for anyone who can’t cycle. c) write to John to express your solidarity. d) Organise a demo or banner drop outside your local prison or somewhere in your town or city. And take a photo that we can collate and pass on to John Bowden. The prison system actually employs a whole legion of compliant ‘Criminal Justice’ system “professionals”, like social workers, probation officers, and psychologists to provide, if necessary, the politically neutral lexicon of “risk-factors” and “Personality Disorder” to legitimize the continued imprisonment of life sentence prisoners, who in reality are viewed as politically motivated and likely to become politically involved on the outside if released. The narrative of my own life and experience from brutalised and violent young criminal to politically conscious prisoner activist, and how the prison system continues to respond to that, is illustrative of how that system actually considers politicised life sentence prisoners far, far more worthy of continued detention than those who might genuinely pose a risk to the community. In 1982, I was sentenced, alongside two other men, to life in prison for the killing of a fourth man during a drunken party on a South London council estate. At the time, I was 25 years old, and a state-raised product of the care and “youth justice” system. The prison system that I entered in the early 1980’s was a barbaric and de-humanising place, where in terms of the treatment of prisoners, the rule of law stopped dead at the prison gate. My almost immediate response to prison repression was one of total defiance and resistance, that was met with physical and psychological brutality in the form of regular beatings, (in 1991 a civil court in Birmingham found that prison guards in the notorious Winson Green jail had subjected me to a sustained and gratuitous beating-up within minutes of my arrival at the jail), and many years held in almost clinical solitary confinement. Far from breaking my defiance, such inhuman treatment only deepened my determination to fight the system, and to use the only method truly effective in that regard – solidarity with other prisoners. As the years passed, I began to politically contextualise the struggle I was involved in against the prison system, and understand it as a part of a much wider struggle that transcended prison walls and essentially characterised all societies and places where the powerful brutalised and de-humanised the powerless. The length of time that my original trial judge recommended I should remain in jail has now long passed, and yet I remain in a maximum security prison, and what can best be described as a campaign by the prison system to keep me here intensifies with the approach of my second parole hearing in over 30 years. It is essentially my contact with prisoner support groups on the outside, or “subversive” and even “terrorist” groups, as the prison authorities have defined and described them, that is now claimed in some prison system reports, as the main “Risk-Factor” preventing my release. Of course , if necessary, for the purpose of officially legitimising my continued imprisonment, for the convenience of the Parole Board, the usual array of morally compromised and corrupt social workers and prison-hired psychologists will attest to the fact that my enduring “anti-authoritarianism” is just a symptom of my psychopathy and continuing risk to the public. But if there are any doubts that I remain in prison, first and foremost, because of my efforts to expose the prison system for what it truly is, then a document sent to the Parole Board by the Scottish Prison Service on the 2nd December last year, lays them firmly to rest. The document, an “intelligence report” compiled by the Security Department at Shotts Prison in Lanarkshire, was comprised of two parts, one that I was allowed to read, and another part described as “Non-Disclosure”, which means secret information that I would not be allowed access to. It is rare for “Non-Disclosure” intelligence reports to be submitted to the Parole Board, and it represents a total negation of any pretence of open and natural justice, very much like the secrecy employed to imprison “terrorist suspects” without legal due process. Obliged as it is to officially inform prisoners if “Non-Disclosure” evidence is to be used against them at parole hearings, I received a letter from an “Intelligence Manager” at Shotts Prison in late December of last year, informing me that a portion of “intelligence” on me was so detrimental to “public interest” if it was revealed that it had to be kept secret. I was, however, informed that the “intelligence” related to articles written by me that were critical of the prison system and then placed on political websites. One seriously wonders how the posting of articles and information on the internet that expose abuses of power by the prison system, would so endanger “public interest”, unless of course we replace “public interest” with the more precise “state interest”. The purpose behind the use of “Non-Disclosure” evidence in my case is obvious – To convey to the Parole Board the clear message that my current “risk” is not so much about a danger to the public, but much more about my willingness to publicly expose the brutal nature of the prison system, with the assistance of “subversive groups” on the outside. The part of the “Intelligence Report” that I was allowed full access to confirms this. This is the evidence that the prison system claims justifies my continued detention after more than three decades in prison. Not a single entry in the “intelligence report” suggests I pose a genuine risk to the community or am likely to re-offend in a criminal way, and yet the Parole Board, a wholly white middle-class body, will inevitably rubber-stamp my continued imprisonment in compliance with the prison system’s wishes. The two men who were originally imprisoned with me in 1982 were released almost twenty years ago, and I, as a direct result of my struggle to empower and organise prisoners in defence of their basic human rights, remain buried in a maximum security jail, probably until I die. I will of course continue to write and distribute articles exposing and criticising the brutality of prison as a weapon of social control and ruling class violence, and also highlighting my own victimisation as a consequence of that. Other articles by John can be read on the Leeds ABC website (www.leedsabc.org), as well on the websites of our sister ABC groups in Bristol ( https://bristolabc.wordpress.com), Brighton (www.brightonabc.org.uk), and London (https://network23.org/london/abc). FHOI – It would seem a bit false to start an interview without knowing anything more about you than the brief introduction offers. Tell you a bit about your life and how you feel that may have affected who and where you are now. JB – The circumstances and history of my life before prison are familiar to many long-term prisoners; a materially very poor childhood, often accentuated by racism, and an inclination to rebel and challenge rules. Then the long trek through brutal institutions; children’s ‘homes’, secure-units, youth custody institutions, and finally maximum-security prisons. Most “violent offenders” are created and manufactured within youth custody institutions, where violence is used to maintain control and discipline, and used as an expression of power. Young offenders learn quickly that an ability and willingness to use violence determines one’s place in the institutional pecking order, an order sanctified by those in charge. Before my politicisation in jail, and discovery of solidarity as a true weapon of authentic empowerment, I was a classic example of a violent state-raised offender, a creation of the system. FHOI – Tell us about the routine of prison life. When do you wake-up, eat, exercise and sleep, and how does this affect the mentality and morale of yourself and your fellow prisoners? JB – The daily routine of prison life is structured and designed to crush the human spirit and engender total and absolute obedience. Long-term prisoners, especially, experience what feels like an eternity of timeless, soul-destroying, rigidly-structured monotony, where one physically ages in a total vacuum of psychological stimulation and emotional experience, apart from anger, despair, and complete disempowerment. It is a man-made hell, and intrinsically designed to break and destroy any spirit of resistance. Personally, my strategy for psychological survival is to recognise and interact with the official regime here as little as possible; although confined physically within the prison, I create my own personal daily routine and a small piece of my own space. I don’t work in the jail workshops on principle, so my average day is usually spent working-out in the gym and reading and studying in my cell. Although in jail, my mind is free and unrestrained, and ultimately that’s where the final struggle takes place – a struggle to maintain the freedom and integrity of one’s mind. FHOI – What are the current conditions of your imprisonment and the legal context surrounding your case? For instance, are you due a parole hearing in the near future, and if so, is anybody trying to prevent that? JB – My current situation is one of impasse with the system. Last year the Parole Board reviewed my case and decided that I represented minimal risk to the community and should be transferred to an open prison in preparation for release. The prison system refused to comply with the Board’s request, and basically said that unless the Board ordered my release, the prison authorities would decide if and when I would be transferred to an open jail, and at the moment there was no intention to allow me out of maximum security conditions because of my “anti-authoritarian” attitude and refusal to comply with whatever prison management dictated. The Parole Board’s position is that I must be in an open jail before they consider my release, and so it’s a vicious circle situation, with both sides, the prison system and the Parole Board, almost colluding to prevent my release. At some point, I will probably have to see a Judicial Review and take the case to the courts, and possibly even the European Court of Human Rights. In fact, I’m now being held under a form of preventative detention, which under European human rights law is illegal. FHOI – Have you ever worked within the prisons you’ve been incarcerated in? If not, what are your reasons for refusal, but if yes, what have been your experiences of prison labour? JB – I have very little experience of prison labour and on principle have often refused to co-operate with it on the grounds that it amounts to forced slave labour, which under European and UN law is of course totally illegal. I have, however, often organised mass work-strikes in jail, (in Perth jail in 1994 we virtually closed the jail down for four days). So there is real potential to use the prison labour issue as an instrument for creating and mobilising real and effective solidarity in jail. FHOI – What is your opinion on immediate issues such as a minimum wage for prisoners, or whether prisoners should get the vote? 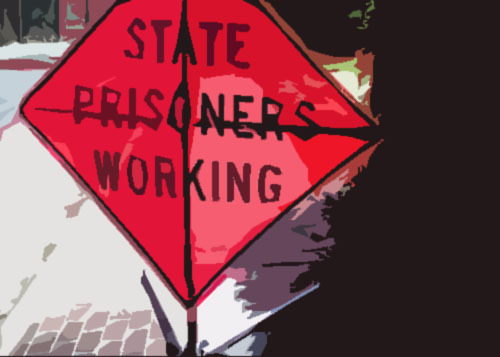 How do you see these struggles (whether they exist in action or not) within the context of the struggle against the prison system, state, and capital as a whole? JB – I think we need to be very careful about supporting palliative reforms, like voting rights for prisoners and the minimum wage, because there’s a danger of legitimizing prison as an institution. That is the danger of the whole prison reform enterprise, that it seeks to reform an institution and system that is intrinsically irreformable, and instead should be completely abolished. We also need to ask ourselves which reforms of the prison system undermine and weaken it, and which ultimately legitimize and consolidate it. Tactically, I’m certainly not opposed to liberal reforms of the prison system, but only as a means to weakening and subverting it, and definitely NOT as an attempt at making prisons “better” and more respectable places. What has our so-called “liberal democracy” fundamentally achieved for the poor and powerless in our society? And will allowing prisoners access to that sham REALLY improve their conditions and make jails less oppressive and inhumane? I think not. FHOI – A lot has been written from radical perspectives on how society on the outside more and more resembles the prison. What is your personal or shared experience (with other prisoners) of this depiction? JB – Prison has always existed as a microcosm of the wider society, and also as a concentrated laboratory of repression and social control. In so many ways, the society beyond jail is little more than an open prison, where people’s lives are controlled and regulated by an omnipresent state. The unfortunate difference is of course that the majority of people on the outside in the wider society are unaware of their captivity, and so are mostly compliant with it, whilst in here we KNOW we exist under the iron heel of the state, and even the most co-operative prisoner harbours a hatred of it. The state generally is becoming more oppressive and intrusive, more all-controlling, as the economic fabric of our capitalist, class-divided society disintegrates, and rich and poor become even more polarised and antagonistic. And whilst we in prison are daily confronted with even more repressive regimes, so the poor in the wider society will also experience greater repression. Ultimately, it’s one struggle and one fight against a common state enemy, inside and outside prison. FHOI – You have written a great deal on the purpose and development of the prison industry whilst inside. Why do you do this, and how do you imagine the information continues after leaving your hands? JB – I have written much about the development of the prison industry because I think it’s important to highlight the way prisons are being used increasingly as a source of profit and cheap enslaved labour. I hope that the information and perspective that I communicate is used to raise awareness and inform a debate and struggle. FHOI – Finally, what has been the most inspiring or heart-warming moment of your time behind bars?My life in prison has mostly been hard and difficult, and a real struggle against overwhelming adversity. But there have been moments of victory and inspiration, when my faith in the strength and beauty of the human spirit has been deeply confirmed. 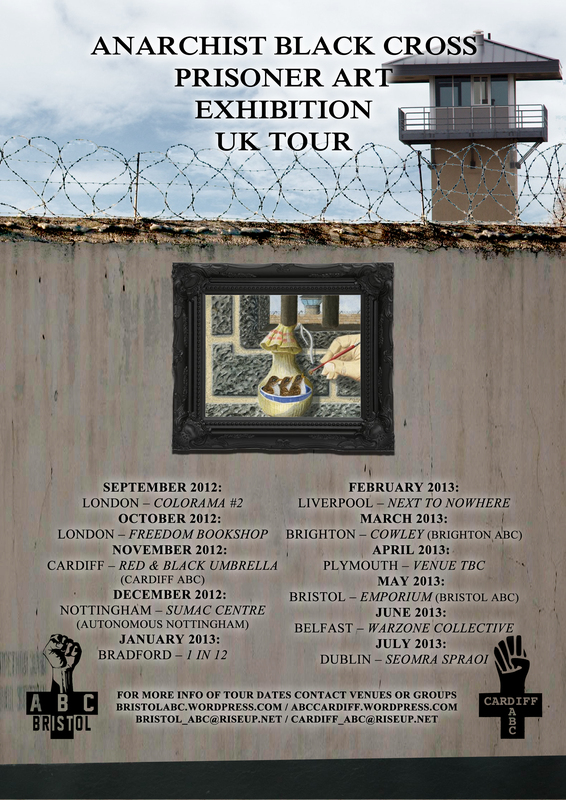 JB – I still vividly remember my first participation in an organized protest at Wormwood Scrubs prison way back in about 1981, and how it changed me deeply as a person. The guards in the jail had been routinely brutalising prisoners, and had created a regime based on absolute fear, even terror. A few days before the protest I was involved in a peaceful protest by prisoners in one wing of the jail, which had been crushed with savage violence and brutality, and its “ringleaders” beaten and batoned all the way to he punishment unit. An atmosphere of fear subsequently prevailed in the jail and the guards swaggered around with an almost omnipotent arrogance and confidence. When a prisoner on the exercise yard one day suggested we should stage a sit-down protest, in solidarity with the prisoners whose recent protest had been so inhumanely crushed, I recall how a shiver of fear and apprehension ran through everyone on the yard. To protest in such a place was to invite terrible retribution, and yet all of us silently nodded and agreed to refuse to obey the order to leave the yard on the completion of the one hour exercise period. Initially, the guards grinned and smirked when we remained on the yard and refused to return to our cells, and then their mood and demeanour grew serious and more hostile as time passed. There were about 200 of us on the yard that day, men who usually associated only with their own groups or gangs, men from a diversity of ethnic backgrounds, men who imbued with prison culture, usually treated each other with suspicion, hostility, or indifference. On this day however, on that drab prison exercise yard, with fear and anticipation in the air, a unity developed that was unbreakable and absolute. We all recognised a common purpose and humanity, and we all knew that together we were strong and would prevail, whatever brutality was inflicted on us. The guards also saw and recognised our collective defiance, and fear replaced their arrogance. For the first time in my life, a life largely spent in brutal state institutions, I felt incredibly strong and empowered, and began to understand the dynamics of true struggle and solidarity, and it changed me irrevocably. Despite countless struggles and protests in jail since, the feelings of that day remain very precious and memorable. Other articles by John can be read on the Leeds ABC website (www.leedsabc.org ), as well on the websites of our sister ABC groups in Bristol ( https://bristolabc.wordpress.com/ ), Brighton (www.brightonabc.org.uk ), and London ( https://network23.org/london/abc ). They also have ‘Free John Bowden T-shirts available. See http://www.indymedia.org.uk/en/2012/10/501867.html.